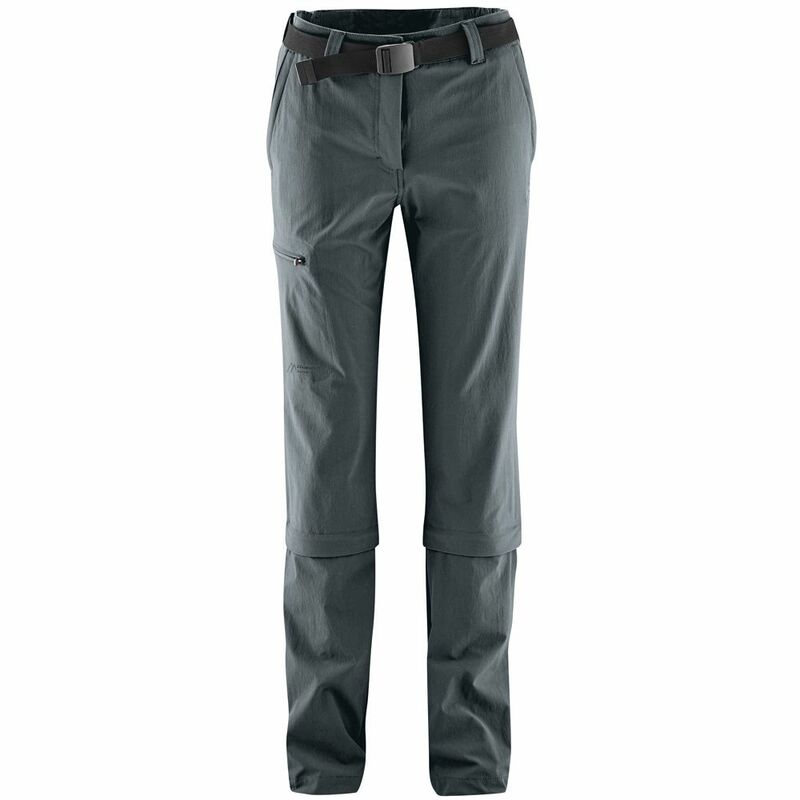 Jesper Maier sports bi elastic walking pants is designed for overnight trips with high stress and to shine with a high level of comfort and great storage possibilities in many pockets. Initially somewhat skeptical to try a sports pants, for the first time, I was surprised at first very positive. The feel created by the bi elastic material, is very pleasant. Optical in the colour combination graphite/green, very successful and something else as the other Maier sports pants models. During the fitting, I noticed the knee fold first. They addressed me directly because the pants through this a very good freedom of movement gives. The fit of the hiking pants is something close. You puts it up on the skin without disturbing is perceived as. Clear advantage. At the hip, two velcro straps are to fit the hose according to the own body mass. As a somewhat annoying, yet practical in use, proves the double closure at the waist with a button and a buckle. By push buttons at the hem of the pants leg you can regulate the right width very well and above all determined according to footwear. The bi elastic fabric resting on the skin, feels but never too tight. He is very good even at high loads and there is a tremendous freedom of movement that you would not suspect at trousers which then is this. The knee fold I feel of the wear produced as very pleasant. Unfortunately it hangs when putting on the pants and with his foot in the crease. Through the increased elastane pants even at warmer temperatures feel slightly cooler. Very pleasant. Pants especially impresses with the fit, comfort, the light weight and the seemingly never-ending storage possibilities in bags. In my extensive Geocache tours, is it always. Whether climbing harness, through rain or Sun, the pants a continually good fit offers me. It dries very quickly, cools in warm temperatures and has also increased UV protection. In our McTREK you expect more exciting product testing magazine!